Barry Dransfield: The official web site. BBC Folk Awards 2006 - nominations. the best performers of British folk music. Singer, songwriter, folk fiddler, cellist and guitarist. A professional folk singer since 1965, Barry's first recording success came with brother, Robin, in 1970 with their Melody maker Folk Album of the year, ‘Rout of the Blues’. 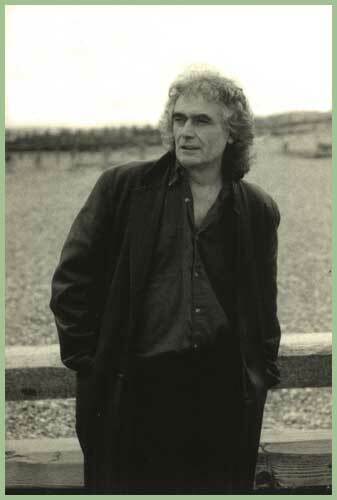 Then his collaboration with Ashley Hutchins, Richard Thompson, John Kirkpatrick and Shirley Collins: ‘Morris On’ featuring his singing and fiddle playing. Three more albums followed with Robin, including ‘Fiddlers Dream’; a solo album ‘Barry Dransfield’ for Polydor in 1972 (re- released on Spinney in 2003 to great acclaim) and a solo album for Topic in 1978. He started Violin Workshop for instrument restoration in 1986 at Hastings - after 21 years at the top of the folk-scene. He had just returned from Tahiti, where he played the part of the blind fiddler, Michael Byrne, in the Dino de Laurentiis movie ‘The Bounty’ with Mel Gibson and Anthony Hopkins. In the 90’s, whilst running his violin restoration business, Barry made two well received albums for Rhiannon: ‘Be Your Own Man’ and ‘Wings of the Sphinx’ and performed at clubs, concerts and festivals. His latest album ‘Unruly’ is the culmination of all his influences: from learning to play the fiddle amongst the Irish community in Leeds, to picking up tips from his workshop customers and solidly listening to Classic FM whilst at the bench. Untutored in music, with ‘Unruly’ Barry has produced a natural hybrid of folk, classical and modern genres.